Some people only had bad luck once in their life. That doesn’t sound too bad until you realize that this singular bad luck affected the quality of their life forever. Herman Volf has always been a keen sportsman. He used to enjoy different kinds of activities like jogging, javelin throwing, canoeing or triathlon. He also used to have a family with two daughters and a successfully running company. One night it all changed. Even after many years, Herman vividly remembers the idea of spending a wonderful night skiing on the slope illuminated by electric lights. While going downhill, Herman’s skis met a hole left in the surface by the maintenance machine, catapulting him into the air. After hard landing, his ribcage vertebrae broke and left Herman lying helplessly on the snow with a near-fatal spinal injury. The prognosis was all but promising. At the age of 40, Herman became handicapped. It never meant that he ceased to be a sportsman, though. Intuitively, he has been trying whatever was available in his present state, ranging from swimming and sit-skiing to hand biking. “In some way, I just didn’t care. When somebody asked me if I wanted to try skydiving, I simply got on the plane and jumped out without worrying whether the parachute would open or not,” Herman recalls. Soon after, his wife left him. While somebody would break and give up, Herman used this rock bottom as a new building ground and decided to give his bad luck a hard lesson back. Using the strength of his will, he started to exercise much more than ever. As the first step, he came up with the notion to travel to Paris on a hand bike and shoot a documentary about his trip. At one point, he realized that the best he could do is to help others and since then he’s started raising money for the needs of his disadvantaged fellows. From 2009 to 2012, he travelled across Europe on his hand bike making cycling one of his top favourite sports. Since 2013, he’s become a director of the longest and most demanding hand bike marathon in the world, comprised of a 2,222km track where both handicapped and able-bodied persons can enroll and take part. Apart from fundraising, Herman came up with a brand new project in November last year. To make this sport available even in bad weather, he decided to turn hand biking into an indoor sport. ”For a long time, I have been longing for a simple, hands-on and smart trainer but founding there has been none on the market made me develop my own,” Herman says. The trainer consists of a steel fold-up frame, adjustable seat, cranks equipped with hand grips, derailleur, and Kinetic Smart resistance unit that you might well remember from conventional bike trainers. The set up is connected to a tablet with a special app displaying real roads on the screen. 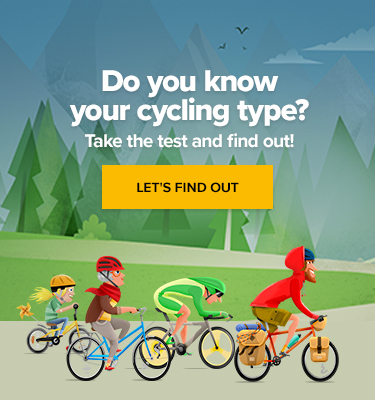 According to track profile, the resistance makes your pedalling smoother or tougher resembling, riding in the real environment. 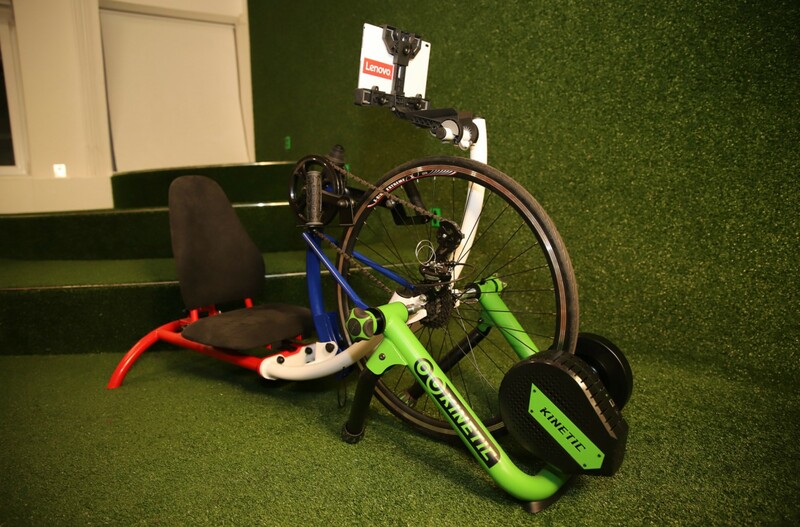 “While a normal cyclist can easily dismount his bike and fit it on the trainer, the handicapped rider needs assistance. Having the trainer always ready in your living room is an incredible benefit for anyone who loves this sport,” Herman explains. The trainer is already in use by a dozen of institutions and has recently been ordered by first individuals. The complete kit is now available online for approximately 2,000 EUR.